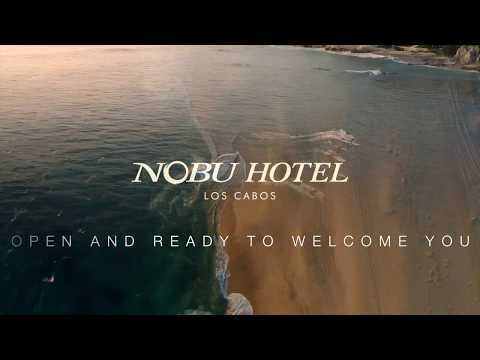 NEW YORK, April 2, 2019 /PRNewswire/ -- Nobu Hospitality, the globally established lifestyle brand founded by Nobu Matsuhisa, Robert De Niro and Meir Teper, is delighted to announce the official opening of Nobu Hotel Los Cabos. The newly opened resort blends laid-back Mexican chic with minimalistic Japanese sophistication on the southern tip of Mexico's Baja California Peninsula. With four swimming pools, unrivalled beachfront location, Malibu Farm's first Mexican outpost, stunning architecture, a luxurious spa, nearby championship golf course and a Nobu restaurant…what more could you ask for? Drawing inspiration from Malibu Ryokan, the property's west coast cousin, Nobu Hotel Los Cabos is raising the bar on lifestyle luxury in one of Mexico's hottest travel spots.